Depth makes all the difference as the Clippers finish ahead of Portland. CAPE ELIZABETH — Portland racked up the records. Yarmouth left with the title. 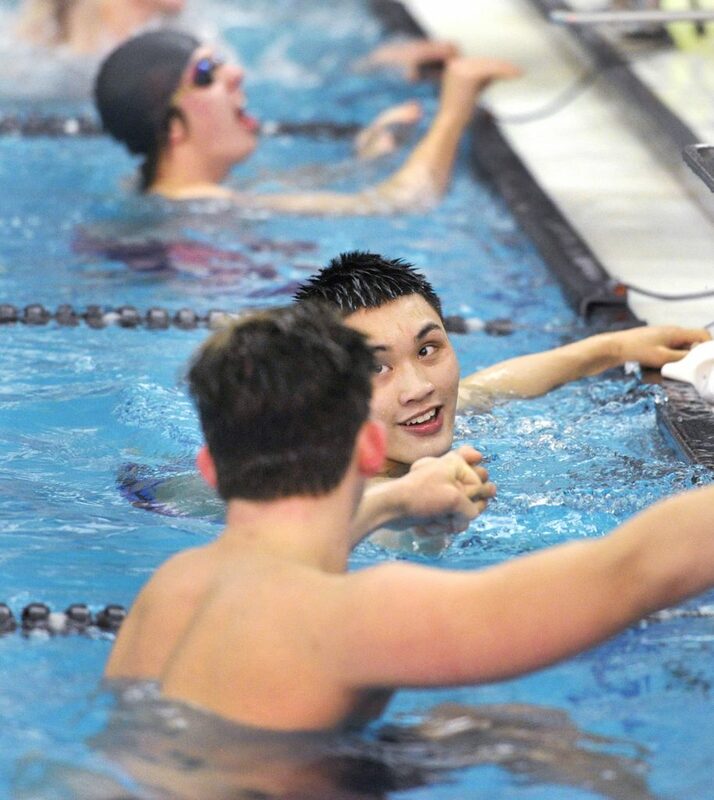 The Clippers, despite only one returning swimmer from a team that finished sixth in this meet a year ago, won their first boys’ South Southwestern swimming and diving championship Friday night at Richards Pool. Yarmouth assumed the lead in diving – the only event of 12 in which the Clippers emerged victorious – and held it the rest of the way, finishing with 213 points to 203 for Portland. Defending champion Thornton Academy was third at 196 followed by Kennebunk (169), Windham (128), Massabesic (104), Sanford (100), Biddeford (86), Gorham (73), Waynflete (45), Bonny Eagle (23), Freeport (9) and St. Dominic (4). 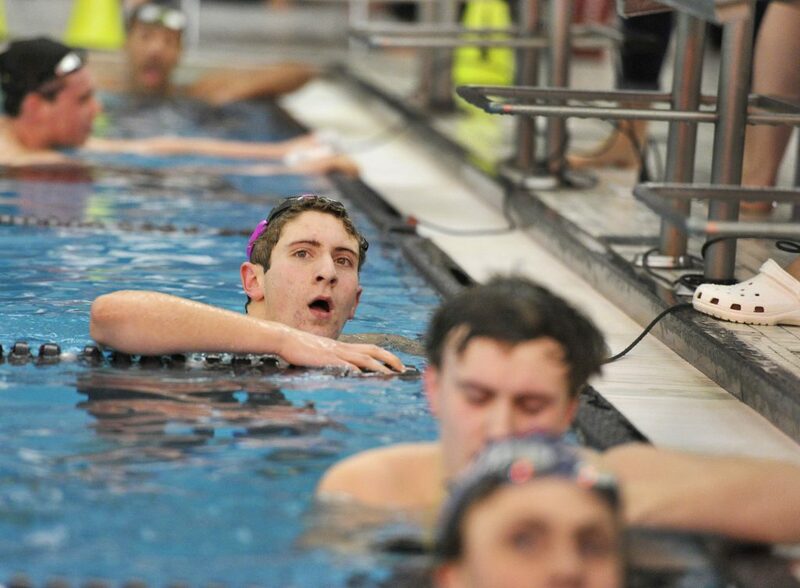 The Clippers won all three B relays for a total of eight points and junior Sean Whynot, who only started diving in October, added 16 points for first place in that event with a score of 315.85 to give Yarmouth the edge over a Portland team that set three meet records. Will Couture and Josh Ying each won two individual events, and Reed Foehl won one for Portland. All three joined Max Orchow to open the meet with a record time of 1:44.97 in the 200 medley relay. Couture, named Performer of the Meet, followed with meet records of 53.53 seconds in the 100 butterfly and 54.47 in the 100 backstroke. Ying won both 50 and 100 freestyle sprints, in 23.05 and 51.82, and Foehl took the 100 breast stroke in 1:06.52. 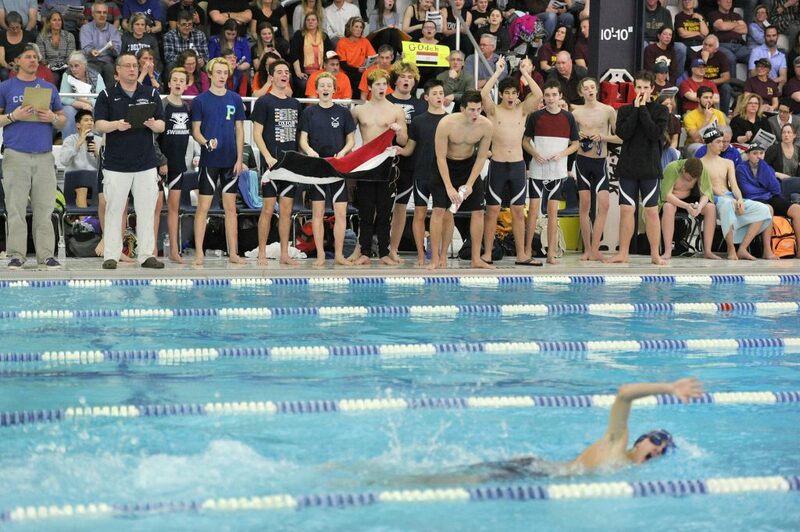 But because they all swam together on the medley relay, the remaining 200 and 400 free relays were left to teammates with less experience, and Portland managed only 10th in the short relay and fourth in the long, while Yarmouth placed fifth and third with its A relays, and 11th and 12th with its B squads. 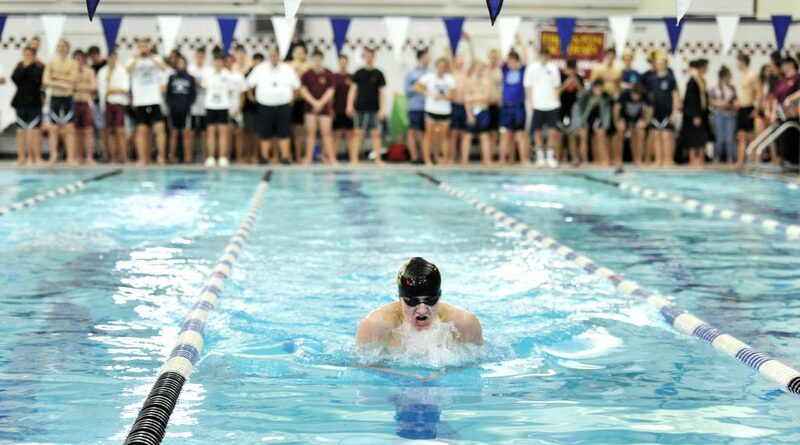 Thornton Academy won both freestyle relays as well as two individual events. Eli Steward cruised to victory by 8 seconds in the 200 individual medley and Nolan Eisenhaur won by a comfortable 18 seconds in the 500 freestyle. The only other individual winner was Jason Albaum of Kennebunk, the only swimmer to break 2 minutes in the 200 free relay. His time was 1:53.92. The Southwesterns, of course, are about more than loud crowds and bad haircuts. 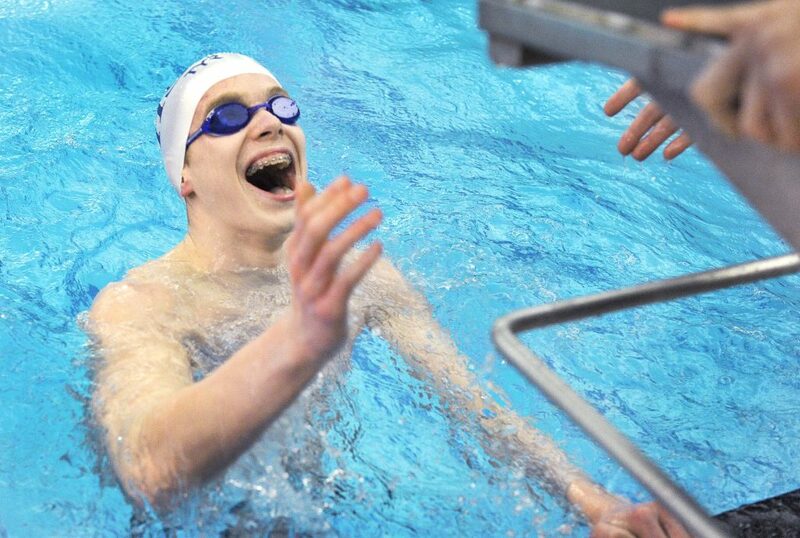 Several swimmers qualified for the state meet for the first time all season. 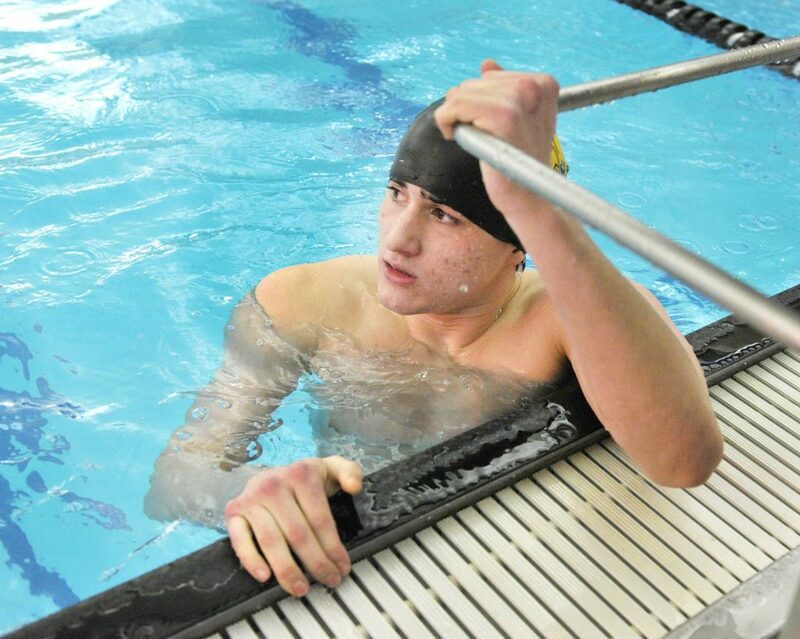 For Thornton senior Carl Pellerin, Friday marked the first state meet qualification of his four-year career. He did it by dropping half a second from his 50 free time, to 26.27. Windham senior Dominic Agneta was another whose only previous state meet experience was as an alternate. Next weekend he’ll swim in both the 50 and 100 free thanks to a nearly two-second drop in the 100 free Friday night.